Eating as a spiritual practice: wisdom from the Buddhist tradition that you can use at home. Every aspect of our daily activities can be a part of spiritual practice if done with that in mind. This is a compact guide for making eating--and all the activities related to it--into a discipline that generates wisdom, insight, and compassion. 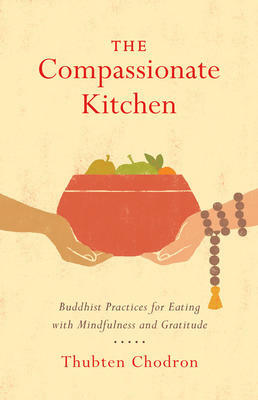 This little book is based on a series of talks that Thubten Chodron gave over two months in 2016 to her monastic community of Svastri Abbey in Washington state and to her many lay students who had asked her to teach on the topic of food and how to use it to nourish mind as well as body. She shows how eating, and everything related to it--preparation of food, offering and receiving it, eating it, and cleaning up after--can contribute to awakening and to increased kindness and care toward others. It's based on traditional Buddhist teachings and on the particular practices used at Svastri Abbey, with advice for taking the principles used there into one's own home in order to make the sharing of food a spiritual practice for anyone.